8 ways I've recently used herbal medicine. The internet is awash with regurgitated information and nowhere more so than in blogs like this one. I always try to write about things I have actually experienced rather than repeating the findings of others, but it’s hard to stay on the path especially with so much information to draw on. Facts and lies seem equally good at perpetuating themselves and I’m often shocked when I read foraging articles in the national press, especially come mushroom hunting season, that are not only full of blatant untruths but have pretty much cut and pasted their content from the previous year’s, lazily produced, space fillers. Only when we know a topic well can we spot all the nonsense and without reliable first hand knowledge we have no way of knowing how much of what we read is fact and how much just fantasy. If I use the articles about mushroom hunting as a yard stick by which to measure the validity of all other journalism, then utterly everything we read is deeply questionable. And so to the topic in hand, herbal medicine or more commonly in my case, herbal first aid. It’s important to point out that I am not a “qualified herbalist” and I have not, unlike some people I know, spent years specifically studying this aspect of wild plant use. Flipping this coin over though, I do spend an enormous amount of my time, looking at, studying, collecting, identifying and experimenting with wild and not so wild plants, so although my knowledge base does not have a certificate to endorse it, it is constantly in use, thoroughly up to date and full to the brim with first, not second hand, experiences from which to draw on. The only honest way to impart some of this information is to describe the situations where I have benefitted from my plant knowledge and put it to simple, but extremely effective, use. There are many other examples I could mention and also, easily wander onto any one of my favourite discussions about the health virtues of all wild foods, the concept of food as medicine, the massive decline in vitamins, minerals, nutrients and anti oxidants from our modern food chain, wild food vs “super foods” etc etc. So many topics that dovetail into this one, but I’ll stick to the point and focus on the simple and wonderful idea that we are surrounded, literally, by numerous plants that we can use to help with most, if not all, common ailments. Here’s just a few that have helped me in the last year or so. I can only assume you have plenty of common sense, but just in case you don’t, don’t use any of the ideas below until you have done more, reliable research, preferably discussing your own situation in more detail with someone in the know. “I have a tiny bit of glass that I can’t get out of my foot” said Ellie, “can you make me a poultice?”. And I did, a good old fashioned spit poultice made by chewing a couple of leaves of this amazing and oh so common plant and then putting it on Ellie’s foot with a little plaster to hold it in place. The following day it had worked it’s miracles, bringing the glass out of its hiding place and sterilising the cut in the process. A plant for all foragers, who are always getting something or other stuck in their fingers, a fantastic “drawing” herb with a styptic action that makes the capillaries contract, helping to stem bleeding and bring things to the surface. What a wonderful little plant this is, a relative of the daisy that pretends, visually at least, to be a member of the carrot family, with soft feathery leaves in its new growth, followed later in the year by bunches of small white flowers (also resembling at first glance, the umbelifer flower arrangement of the carrots). Yarrow is on of those “go to” herbs and I have used it for everything from sore throats, either chewed or in a tea, to rubbing on insect bites and putting on cuts. Amongst many others, Yarrow has been know in the past as a “wound wort”, probably due to its antiseptic and anti inflammatory effects. I have always found it to be a soothing herb to apply to cuts and bruises. 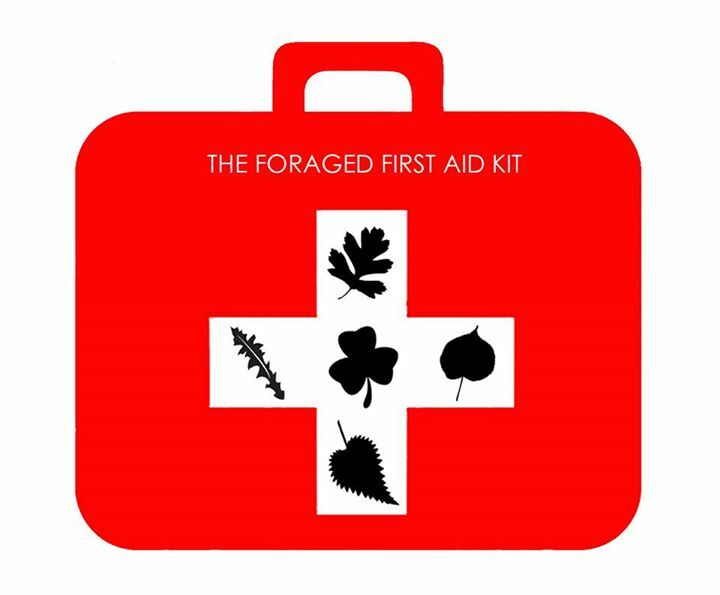 A must for any wild first aid kit. 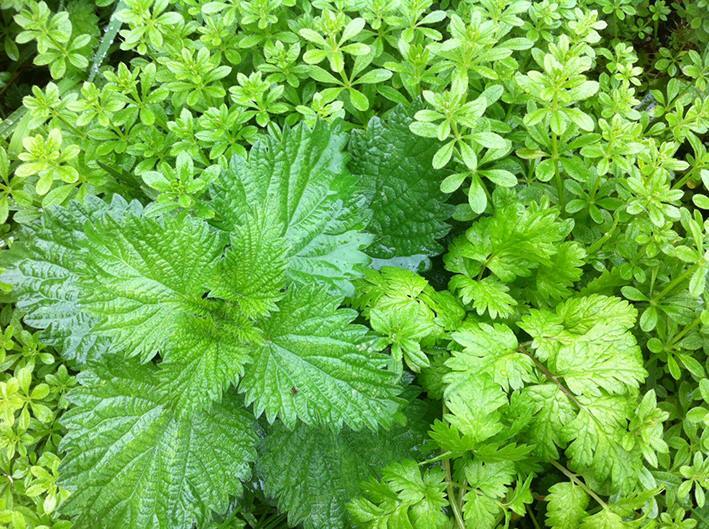 And the antidote for a stinging nettle sting is……drum roll……..yep, more stinging nettle! You didn’t think it was Dock leaves did you? Alas that’s just a placebo and even if it did work, you could never guarantee having some to hand if you got stung. Nettle however will most definitely be present if you’ve just stung yourself on it. The underside of nettle leaves are covered with thousands of tiny hollow hairs like hypodermic needles, full of formic acid and histamine. Fortunately, the stems of nettles contains a wonderful juice that acts like an anti histamine, as my two year old son recently discovered after experiencing that famous rite of passage, his first brush with a patch of “stingers”. Tears and some screaming were followed by pointing out the swellings on his leg, small but obviously painful. And to the rescue I came, stripping the nettle leaves from a stem with my shirt and then twisting and folding it until it produced a bit of juice, which I immediately applied to the angry looking bumps on his leg. “More, I want some more” he commanded and I duly obliged. Honestly, two minutes after he was stung, he was right as rain and we heard no more about it, not then and and not later, and I know from getting stung almost daily, they can carry on hurting for ages if left untreated. All power to the nettle and its numerous medicinal, nutritional and edible attributes, which would take at least a whole essay, probably a book, to describe. 4. Cramp Bark aka Guelder Rose. This is another plant that I came to use as a result of having long term back troubles. It’s not easy being tall in a sizeist world you know, and at one point, even bending to do the washing up could send me into spasm. Fortunately, these days, I am in terrific health, go rock climbing in my every spare moment and have a back that seems to behave pretty much like everyone else’s. The final solution for my problems…surgery….after twenty years of chronic, acute troubles, a twenty minute operation changed my life. The recovery period took quite a long time though and left me with just one hangover from the past; from time to time, my back will massively over react to some tiny stimulus, my nervous system will go on high alert and send all the muscles in my lower to middle back into violent spasm. Obviously, across the years, I have tried many different tablets and treatments but it was only when reading an article about Guelder Rose that I decided I should try using it. Traditionally Cramp Bark has been used to treat period pains, containing antispasmodic volatile oils and I have read somewhere that it has a calming effect on the Vagus Nerve, which amongst other things, delivers information to the brain about the condition of all the vital organs (not sure of the source of this though). With the inappropriate over reactions that my nervous system was prone to, this sounded just the thing I was after. I made a simple tincture using strips of Guelder bark and alcohol to remove the oils and alkaloids I was after and then it sat on the shelf and waited. When at last its moment came, I used it in conjunction with some more conventional pain killers and anti inflammatories over a period of a few days. Recovery was swift and it seemed to adopt the role previously played by Diazepam, helping to relax the muscles while the other tabs did their job, but without making me drowsy or sluggish. Guelder Rose is considered to be a toxic plant (bush) so should you decide to look into it, I strongly recommend visiting a herbal practitioner. 5. Hawthorn (yes I know it’s the wrong photo and spelt wrong too). This is more of a cautionary tale than anything. Hawthorn is a marvellous thing in terms of all round health, but especially for the heart. I realise some people think that herbal medicine is a little “wooly”, the concept of treating the body rather than the specific ailment is something we seem to struggle with; I know I did when seeking a good acupuncturist to help with my back. “Stop asking me questions about my f*&%$ing childhood” I shouted “just stick some needles in where it hurts!” As well as its nutritional value, Hawthorn has numerous wonderful medicinal properties, a relaxing effect on the heart muscle, the ability to reduce cholesterol, lower blood pressure and boost the circulation. It was the last of these that lead me to be taking 3-4 large Hawthorn capsules a day for many months and the probable reason that during that time I fainted rather a lot. We have, in my family, rather low blood pressure already and for some reason, when deciding to take Hawthorn habitually, to boost my circulation and deal with my terribly cold autumn and winter feet, I put this bit of information aside. After a few of these very unpleasant incidents, trips to A&E, visits to heart specialists etc etc, the penny finally dropped. I stopped taking the tabs and have been, touch wood, fine for the last couple of years. I had always read that Hawthorn would modulate my BP rather than just reducing it, so it should be a good herb for someone who’s was either too high or too low, but I can only say what happened in my case. I have certainly never heard another case of Hawthorn making people faint, but I was on a high strength dose and with already low BP, I think it just tipped the scales. 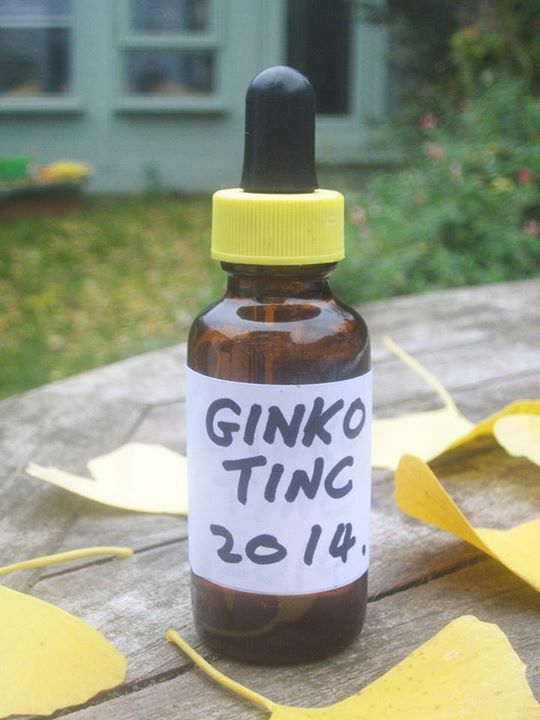 These days I take Ginkgo instead, it has a similar effect even though I can’t spell it. 6. Lavender, Lemon Balm and Thyme. When I first started running foraging walks in parks in London, I realised that I would need to provide some sort of antiseptic/anti bacterial for people as we often alternate between getting our hands dirty and putting things in our mouths. On a wild food walk, wet wipes just didn’t seem appropriate! I tried making various “wild” hand sprays, a couple of which were very effective but really stunk, garlic may be a great antiseptic but it’s just a bit too smelly to have all over your hands when you’re trying to ID other plants. Here is my most successful and wonderful smelling “recipe”. I strongly urge you to make and use this. The alcohol evaporates in seconds and your hands will be left clean, dry, and exuding wonderful herby wafts. 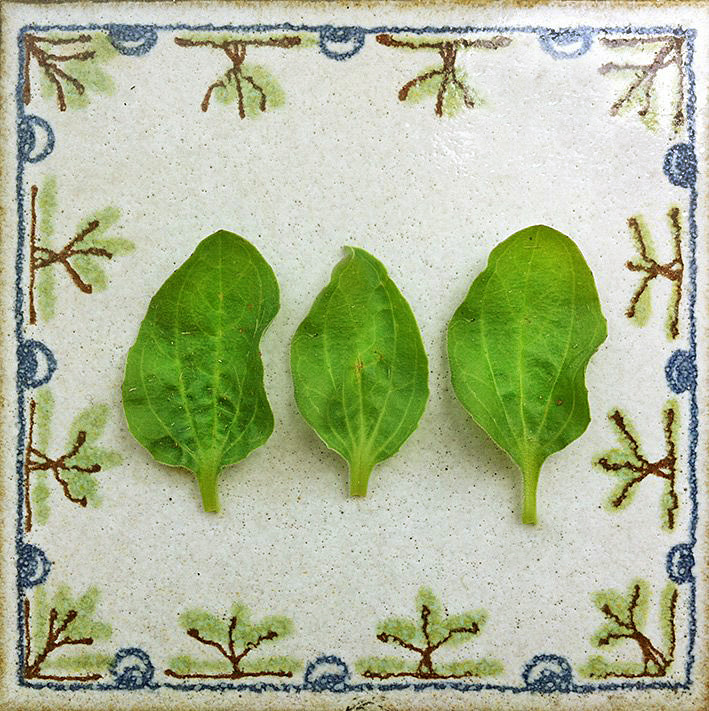 Obviously there’s also a multitude of medicinal uses form these three herbs, which you can explore, as they say, on your own time. So, to 300ml of cheap vodka, add 10g dried weight of each of the three herbs above, leave in a jar out of direct sunlight for about a month and then dilute 50/50 with water. You could also add additional scents at this stage if you fancy, lavender oil or just some lemon juice. My own invention, works brilliantly, smells great, keeps for years. Coltsfoot is a very pretty member of the daisy family that flowers around April (in London at least), with downy purplish stems and unlike most (all?) other daisies, flowers that appear before it gets its leaves. It’s latin name is Tussilago farfara, and comes from the word tussive, meaning “of or relating to coughs”, and is used for its anti-inflammatory, anti-catarrhal and anti-tussive actions. The leaves as well as the stems and flowers are all usable but I decided to make a cough syrup using the last of these two, that was what was available at the time. I also added Water Mint, for its calmative and antiseptic properties and because I thought it would taste nice. I did this with a “cold infusion”, simply submerging a couple of handfuls of both plants, fresh not dried, in some runny honey and leaving in a nice light spot for two or three weeks. I read recently that “they” found some honey in one of the ancient Egyptian pyramids, and that it was still edible, so I can only assume my Coltsfoot cough syrup will last quite a while. It tastes great and soothes the throat wonderfully with the added smug factor that comes from any foraged, home made remedy. As a foot note, I should add that there are some questions as to the possible toxicity of Coltsfoot, due to the presence of Pyrolizidine Alkaloids (PAs) but that I consider the occasional ingestion of it to not be a problem. https://www.crunchybetty.com/vintage-remedies-%E2%80%93-make-daisy-salve-for-bumps-bruises I took the advice it gave about quantities of bees wax to add and best of all the addition of a few drops of lavender oil. The result, a terrific pot of home made cream, with a nice story attached and a calming application for bumps and bruises. Does it really work? To be honest, I’m not sure, but sometimes what we really need is for someone to just give us a little pat, rub in some nice smelling cream and say Whoops a daisy. Brilliant article, John, thought provoking…I’ve just spent two weeks with plant lovers gaining experiences direct from plants. Some certified herbalists were there because there Uni herbalist education did not teach them to forage medicinal plants let alone to learn directly from them as you have done. There I am contemplating a career change to herbalism conscious that the formal education does not necessarily include anything you have described above! thanks Lee, lovely of you to say so…yes it reminds me of when I was a professional photographer, all the students were doing a 3 year BA in photography, learning plenty about the history of fine art photography but having not a clue how to even use a flash gun or put their ideas into practise, then they’d come to work for e and I’d show them how to actually take photos. I really enjoyed reading this. Found you after googling how to forage for cramp bark. I was buying it on Amazon! Good to know that you can be into herbal medicine without taking yourself too seriously. Some ‘herbalists’ are such a bore. I will try the daisy lotion. Cheers. Next post: The day I died & went to wild food heaven. 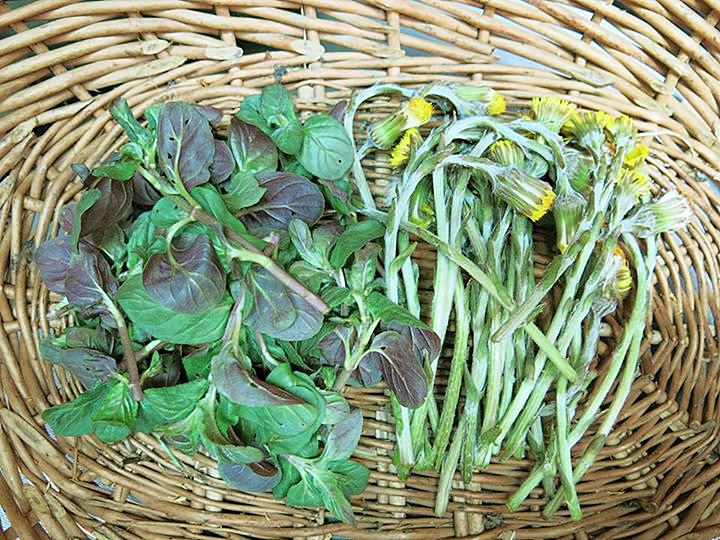 Previous post: Everything we need to know about foraging is in just one plant.